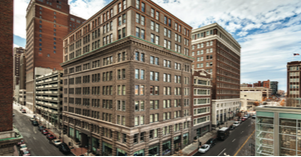 Library Lofts East consists of a six-story building built in 1906 and a conjoined 10-story building built in 1923. 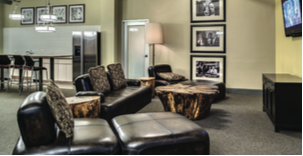 The property was fully renovated and retrofitted in 2003 with shared entrances and hallways throughout. The units include oversized living spaces with spacious closets, washer and dryers and spectacular views; select units also have skylights. 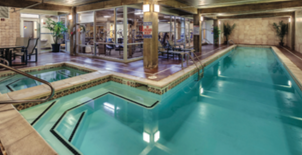 Residents have access to such amenities as a clubhouse, connected parking structure, fitness center, tanning beds, Jacuzzi hot tub and an indoor swimming pool. 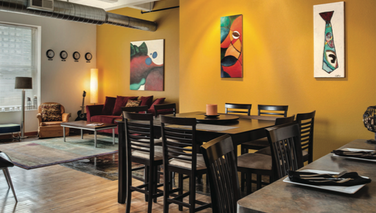 Library Lofts East is located in the historic downtown neighborhood of Kansas City, a short walk from the Kansas City Live District and the Power & Light District—a premier entertainment center with shops, restaurants, bars and venues. Other neighborhood attractions include the Sprint Center Arena, Union Station, Liberty Memorial and the Hallmark Crown Center.